Unique in Europe, Romania offers you one of the most beautiful routes for off road - join us in a real motorcycle adventure enduro tour made in the middle of the Carpathian Mountains! Ride with us on one of the most beautiful off road route in Romania! 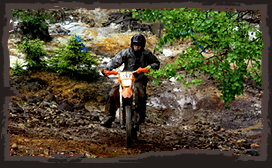 We provide you from soft enduro tours for the beginners to extreme enduro motorcycle adventures tours! We have amazing landscapes, untouched wildness, breathtaking views, we ride between the trees, on the fields that reaches the sky, we ride on the valleys and lakes, we ride in the ideal enduro paradise! We show you the people, we offer you traditional bio food, reliable bikes and what is the most important thing: a lot of fun! We offer you the freedom to enjoy one of the most beautiful hobby in the world: enduro! We offer you a perfect combination of enduro riding, culture and history! 3 days of amazing riding off road combined with 2 days relaxing and sightseeing in the capital of Romania, Bucharest ! 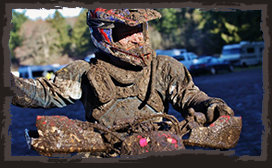 We challenge you to a superb enduro tour which will take your breath away! From dense forests, open fields to muddy trails, we offer you a spectacular enduro tour combined in 3 days riding and 2 relaxed days in the capital of Romania, Bucharest ! 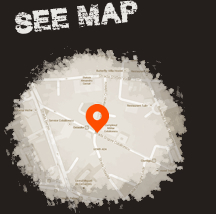 We offer you one of the best accommodation in Bucharest located in the middle of city center - famous Lipscani area! 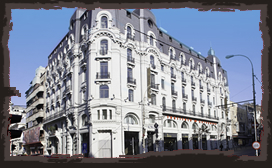 You will be staying at Cismigiu Hotel Bucharest! In the country side, we will take you to a cozy villa and make you feel like home! You may enjoy there the Romanian bio traditional food from local cheese to homemade bread and local drinks ! 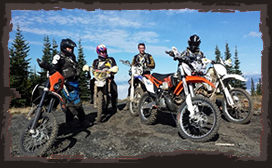 Be a part of our Carpathian Enduro Maniacs Tours and you will immediately become our club member! We prepared for you a lot of surprises from free riding to gifts and discounts!